Happy Easter – C пасхой! 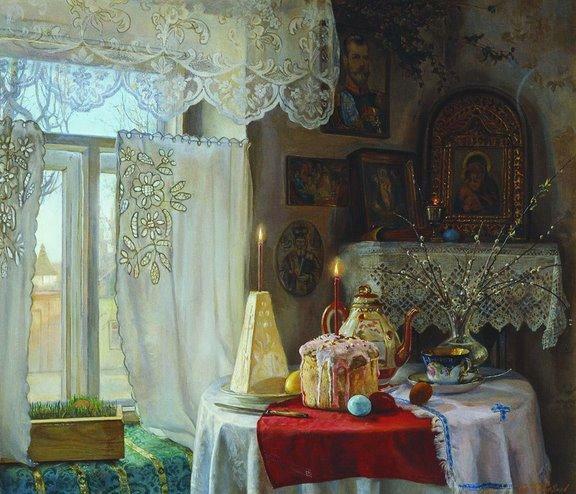 Today is Easter Day for the eastern Orthodox church. 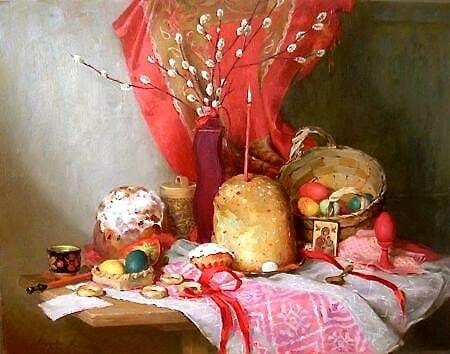 Both paintings show the traditional Russian Easter cake – kulich. Here’s an article about kulich, including a recipe….